Looking Forward to 2019! 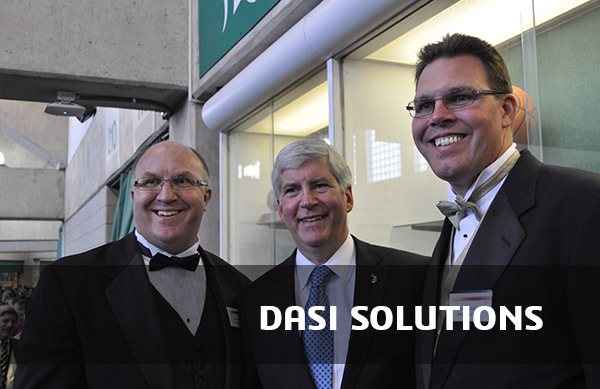 DASI Solutions - FIRST® Robotics - SOLIDWORKS DASI Solutions and SOLIDWORKS, working together to help provide FIRST® Robotics Teams the Tools and Mentorship they need to succeed! Learn more about SOLIDWORKS Crown Level Sponsorship available to FIRST® Robotics teams across the nation. DASI Solutions, and Dassault SOLIDWORKS Providing resources and 3D CAD David and Rick Darbyshire owners of DASI Solutions and Marie Planchard of Dassault SOLIDWORKS are passionate about working together to provide SOLIDWORKS software, Engineering Mentors and Resources to FIRST® Robotics Teams across the country . DASI and our Next Generation.. Impacting Lives DASI Solutions Our goal for young people is to provide them with the richest possible opportunities to learn and gain exposure to technology and resources that enable them to bring ideas to life. SOLIDWORKS WORLD EVENT Left to right Former COO of SOLIDWORKS Jeff Ray, Founder of FIRST Robotics Dean Kamen and owner of Dasi Solutions David Darbyshire. Combining the excitement of sport with the rigors of science and technology. 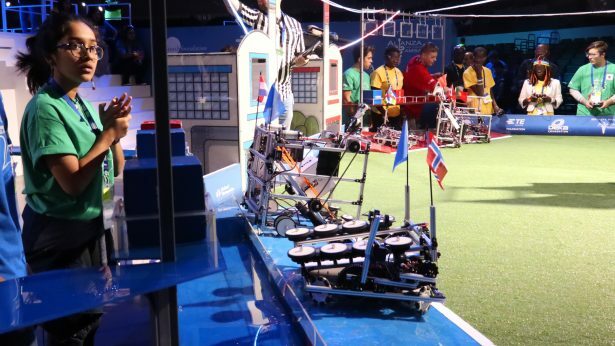 We call FIRST® Robotics Competition the ultimate Sport for the Mind. High-school student participants call it "the hardest fun you'll ever have." Under strict rules, limited resources, and an intense six-week time limit, teams of students are challenged to raise funds, design a team "brand," hone teamwork skills, and build and program industrial-size robots to play a difficult field game against like-minded competitors. It’s as close to real-world engineering as a student can get. Volunteer professional mentors lend their time and talents to guide each team. Each season ends with an exciting FIRST® Championship. DASI Solutions is very active in supporting student Robotics Teams across the regions we serve. Arizona, California, Indiana, Kansas, Michigan and Missouri. Please use the link below to find sponsorship information and application. Please visit our Student Resource section to find Kit of Parts, SOLIDWORKS Tutorials and more. At DASI Solutions, we are dedicated to service, support, education and innovation offering SOLIDWORKS engineering software solutions, accompanied by best-in-class training and support. We are passionate about our Leaders of the Future and look forward to being a part of the 2019 FIRST Robotics World. 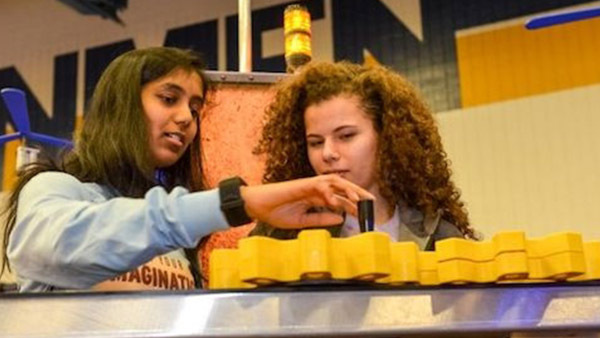 We hope you’ll join us next season for a celebration of space innovation and STEM inspiration, culminating with the 2019 FIRST Championship in Houston (April 17-20, 2019) and Detroit (April 24-27, 2019). Call Annette Norris for more information 248-410-9896. NEWS! 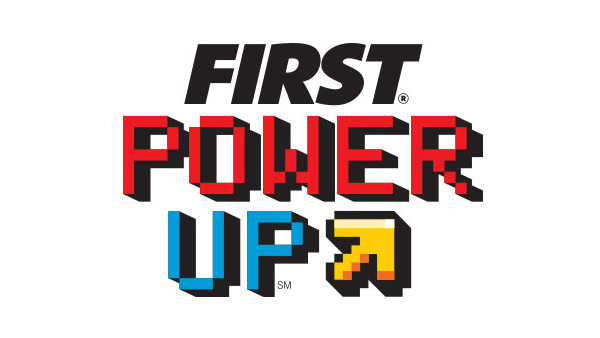 DASI Solutions is excited to be a part of FIRST Robotics 2019! FIRST alum David Gomez is from FIRST Robotics Competition Team 3196, Team SPORK, in Mooresville, North Carolina. 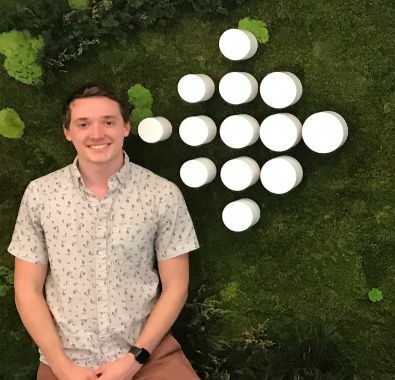 Today, he’s an electrical engineer at Fitbit, where he’s using skills he learned through FIRST – including initiative, teamwork, and how to solve abstract problems – to research, design, and manufacture next-gen products. 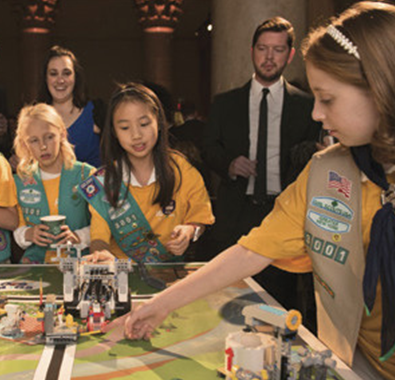 Girl Scouts of Montana and Wyoming received a 2017-2018 FIRST® STEM Equity Community Innovation Grant to engage rural young women in STEM, connecting them with STEM enthusiasts and college scholarship opportunities through robotics competitions. For the 10th year in a row, Kettering University’s will host hundreds of high school robotics students during the 2019 FIRST Robotics districts competitions. 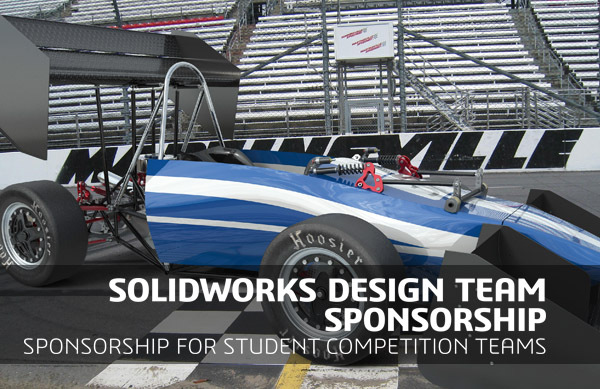 Last month in Mexico City, SOLIDWORKS supported the FIRST Global Competition showcasing students’ innovation and inspiration in Science, Technology, Engineering and Math (STEM).